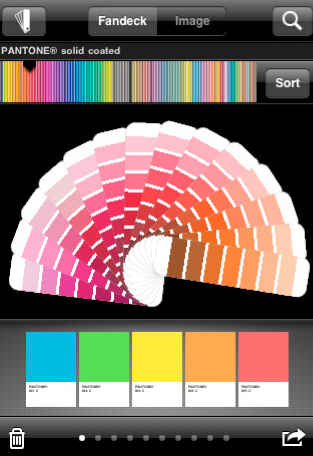 The myPANTONE application for iPhone has stolen my heart. It’s so much fun! You can make palettes straight from photos (which is what The Beader’s Color Palette is all about). You can then email palettes to other bead artists. You can look at several of the PANTONE Color Libraries in traditional fandeck fashion. You can create color schemes by dragging and dropping right from the color bar on top, and save them for later use or inspiration. My family and I were lucky last month when the floods ravaged parts of Atlanta: we sustained very little damage. 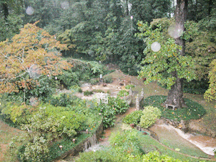 But our backyard was deluged. I made a color scheme out of it using the myPANTONE app. Unfortunately there are so many issues with color when it comes to devices. Every color you see on every device– monitor, handheld, laptop, etc — seems to be different. That is the way of the world and there’s no immediate solution. 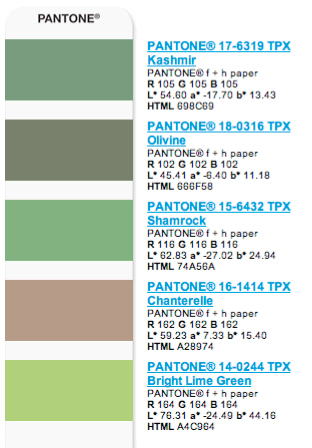 I’ve been sending the Pantone numbers to myself (email) and then checking them out with the swatchbooks and tweaking as necessary… and its always necessary. At least the app gives me a good start. And its so fun! Thanks for your input, Eddy – I really appreciate it.